Sometimes, smaller tanks just don’t cut it. You might have started out with a small, few gallon big fish tank in your living room, at your office desk, or in your dorm room at school. But now you’re ready to get yourself a bigger tank that can hold a whole family of fish and give plenty of room for living for your aquatic life. A 55 gallon aquarium can be a big undertaking but if you’re no stranger to fish tanks and a veteran of raising aquatic life, then we’ve got some tips on the best 55 gallon fish tanks for you. 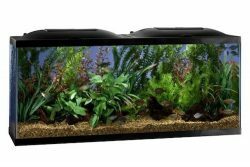 A 55 gallon fish tank will seem pretty large in comparison to many of the smaller, beginner fish tanks you might be used to using. But it’s also a size much farther away from largest tank you could get. In terms of overall 55 gallon fish tank size, it’s somewhere in the middle and good size for raising a lot of fish instead of just a few. It’s the type of tank that’ll fit well in the living room or any common area of the house, as well as an office space or apartment. Some tanks do come with a stand, but not all do. If you will need a stand, read through our fish tank stand guide that will match your 55 gallon aquarium. It’s not all as simple as just picking a tank size and going with it, however. 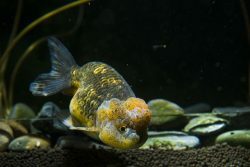 You want to keep in mind the type of fish you’re going to be keeping, whether the tank will hold freshwater fish or saltwater fish (either tropical fish or marine fish), what its capabilities are for supporting plant life and good bacteria growth in the tank. Also keep in mind the location within the room as the weight of the tank is very heavy once filled with water, fish, and accessories. A 55 gallon fish tank filter is also a huge part of picking the right tank for a number of reasons that we’ll get into below. 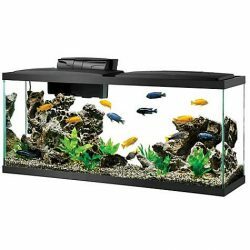 So peruse these options for the best 55 gallon fish tanks below. This 55 gallon aquarium kit has a nice long, rectangular shape to it. It includes a bright white LED lighting fixture as well as many other nice accessories to get you started in using this tank as a home for your fish. Included is a SWPF 60 Filter and a 200 watt heater, perfect for the size of this aquarium. The hinged hood and LED lighting make it perfect for all fish and plant life, in a great size fish tank. This tank measures 49.88 inches by 14.38 inches by 28 inches and weights 44lbs. It also includes a stick on digital thermometer, a 6″ fish net, AquaSafe water conditioner, TetraMin fish food, and other helpful items to get you setup and started right off the bat. A helpful user guide and manual is included to guide you along. Visually this is an open fish tank with a full 360 view of the tank for your fish. The drawback here is the filter is not as advanced as some of the newer technologies available today, so looking at upgrading it will be your best bet in the long run. Run it for a few weeks to see if it works for you first if you are unsure, but you’ll probably be better off upgrading. It also does not include a stand which will have to be purchased seperately if you do not have somewhere to put the tank. The Aqua Culture 55 gallon aquarium starter kit has an excellent aesthetic design to it. It features a low-profile hood that includes energy efficient LED lighting to mimic the natural sunlight fish and plants should get. It includes some nice features, including a Tetra internal filter with integrated cutouts making changing the filter a breeze as you won’t even need to remove the hood. The 55 gallon fish tank dimensions are 48 inches by 13 inches by 21 inches and fits standard 55 gallon fish tank stands. Also included in the kit is a sample of Tetra fish food and water conditioner, helpful to start but you will need more sooner rather than later. Also, the food should be customized to your specific fish types. 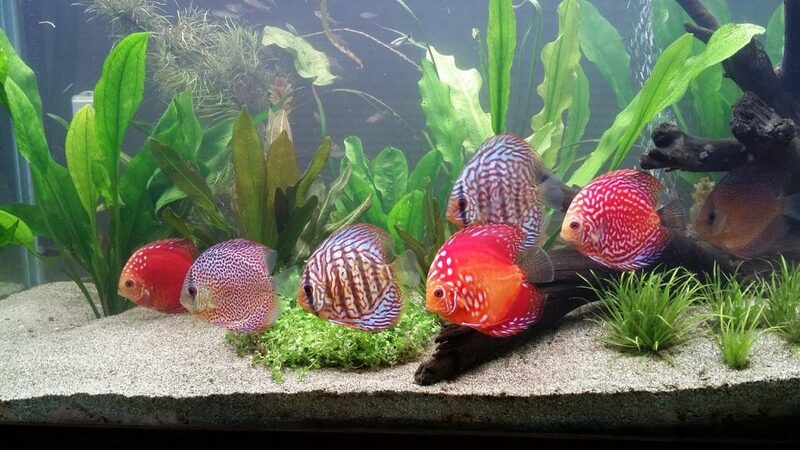 It works as a freshwater aquarium or saltwater aquarium. Ultimately, this is a great aquarium kit that does need a stand, and similar to other tanks on this list, could probably do with an upgraded filter at some point it you see it being too weak. This filter is internal which will cut down on noise compared to other filters included in kits. 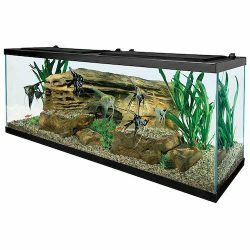 This 55 gallon fish tank has a lot of features and includes a lot of must have accessories for any fish tank kit. It has the usual, hood and lighting system, but also includes a submersible heater, a fish net, a thermometer, food and water care samples, and a set up guide for the entire apparatus. Unlike many of the tanks you’ve used in the past (if you’ve used smaller aquariums), this one is pretty heavy at 440 pounds. It measures 50.1 inches by 15 inches by 23.1 inches all the way around. The lighting system has three settings: on, blue, and off. The submersible heater is 200 watt and the hood has a tight secure hold on the rest of the tank. There’s no real big drawbacks here, except perhaps the weight but that’s typical of 55 gallon fish tanks. The heater doesn’t mark temperature so you’ll have to use the included thermometer as a separate accessory if you want to utilize the heater but it’s good to monitor the temperature of the water regardless. You can also purchase an external heater with built in thermometer and safety devices, which are outlined in our fish tank heater buyers guide. At first glance you can see how different this 55 gallon fish tank is from the rest on the list. While the others featured an overall traditional design for everything, this one looks almost futuristic with its cylindrical design and sleek metal stand and hood. This makes it easy to fit anywhere, though it may not go with all your décor. This tank weighs a moderate 75 pounds which makes it easy to move around if needed and measures 20 inches by 20 inches by 67 inches. It’s constructed with high strength acrylic and includes complete stand and canopy as part of the package. It also has a feeding tube to allow you to feed your fish without removing the 55 gallon aquarium hood. It includes a compact lighting system, a water filtration system and pump as well as a bio ball and air pump. This design is sleek and fun but might not be for everyone so keep that in mind. It also doesn’t include any extra accessories so if you need some help in that department, you might want to go for a full kit system instead of this. This is a 55 gallon aquarium for sale that is for some serious fish owners. Just taking one look at it certainly makes that much clear with a sleek overall glass design that fits in perfectly to the aesthetic of virtually any space. The overall design is meant to make the functional parts of the aquarium as hidden as possible to promote just the beauty of the aquatic world inside the tank. This tank does come with an included QuiteFlow filter and other accessories. 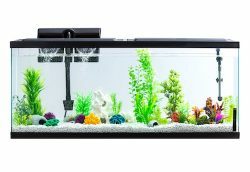 The aquarium itself is 48.25 inches by 12.75 inches by 21 inches and comes with a 5 year warranty from the manufacturer and comes in at 78lbs empty. It’s an indoor only tank but includes high quality silicone edges to ensure your fish and plants are kept safe. This tank includes a number of features and extras, including a submersible heater, stick on thermometer, fish net, and some food and water conditioner. Assembly is easy, it’s just a heavy piece and as like the most of the others, it doesn’t include a stand. While it is on the heavier side, that does also mean quality glass and components have been used. The filter should be good enough for this size, but also sits on the outside so it will have some noise, although minimal unless you are particularly sensitive. Other than that, it’s a great starter kit with lots of good accessories. You’ve got seven options here for the best 55 gallon fish tank for sale that really fill in the spectrum of design options and included goodies. There’s traditional tanks, modern tanks, aquarium kits that come with everything you need, tanks for veterans who already have all the parts you need. Some tanks come assembled while some require you to put in the labor and assemble it yourself. 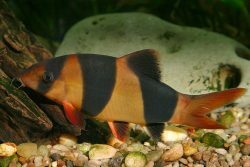 You want to evaluate your level of dedication to fish keeping, your abilities and the amount of time and effort you want to put into assembling and keeping your fish tank. 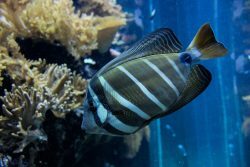 No matter what your level of effort, one of the 55 gallon aquariums on this list will work for you when you evaluate these large fish tanks for sale. Let us know if you have any questions or personal experiences in the comments below.